Diverse and imaginative. 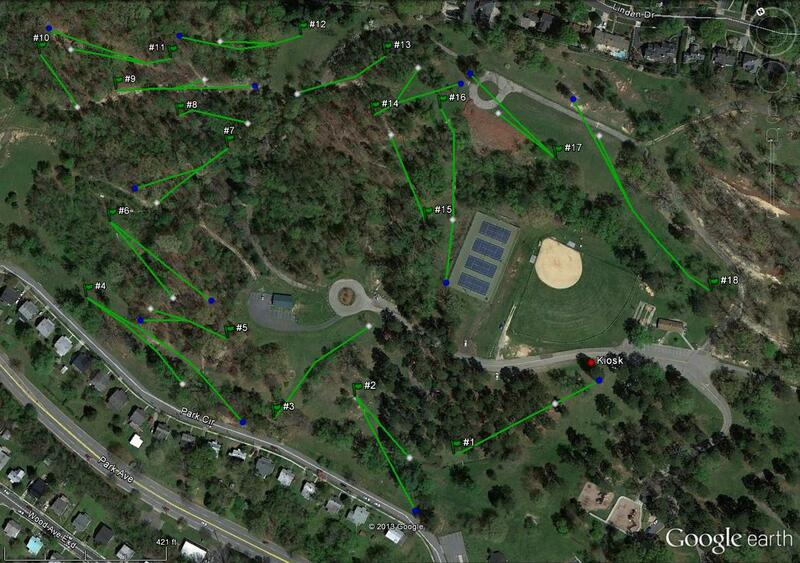 Wooded, open, short, long, up, down, left, right, and much elevation. Beautiful fairways and difficult rough. Risk/reward course. The short holes are very technical. 18 amateur/white tees with professional/blue tees on most holes. Hwy. 29 Business into Danville; West Main exit. Right on West Main for 1 mile to Ballou Park Shopping Center (on left). Turn right into the park (across from McDonalds). -Not much change between hole layouts (short pads). Slight fade or turn. -Upkeep is terrible. Bridges broken, lopsided or underwater. Fallen trees in front of the pads or baskets. No steps where they are needed. Very limited in benches and trash cans. -Direction. Not much in the form of signage that helps or where the next pad is located. Tee signs are poor. This course has possibilities. More and better signage to help visitors and beginners get around. Lots of room for alternate baskets on almost every hole. Completion of all the long pads would add as well. Great little gem of a course! The only thing missing is perhaps a selection of longer "air it out" holes; however, the balance of elevation, the scenery in the park, and the variety of shots required at Ballou is excellent. I enjoy getting to play this course several times each week. 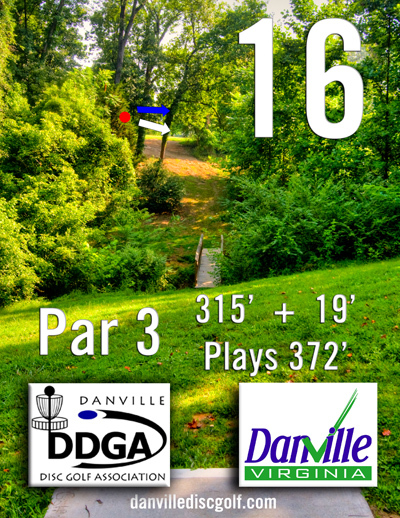 I absolutely love this course and wish I got to Danville more often. I believe that it's #5 (the hole with the steps) that is one of the finest designed holes I've ever played, now that it has tee pads. Number 18 is one of the best, most beautiful finishing holes I've ever played. Absolutely the BEST tee signs I've ever seen.